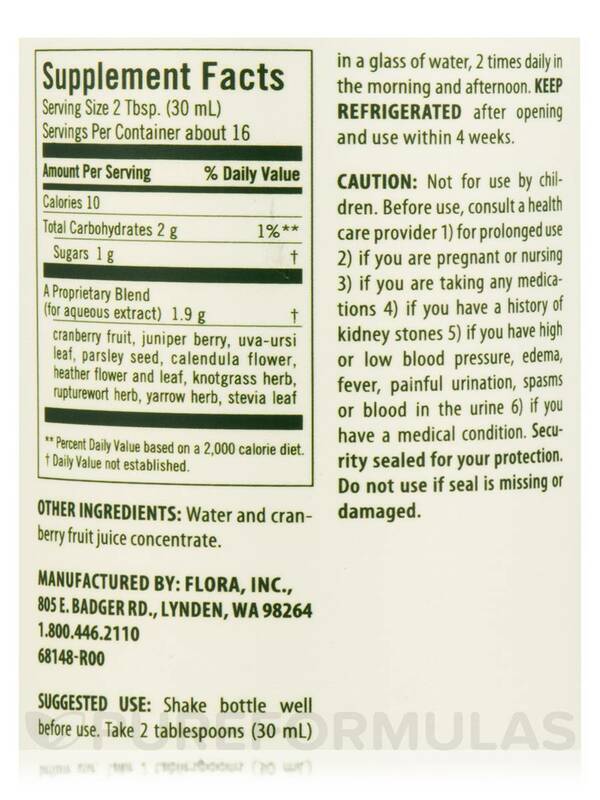 Helps maintain a healthy urinary tract! 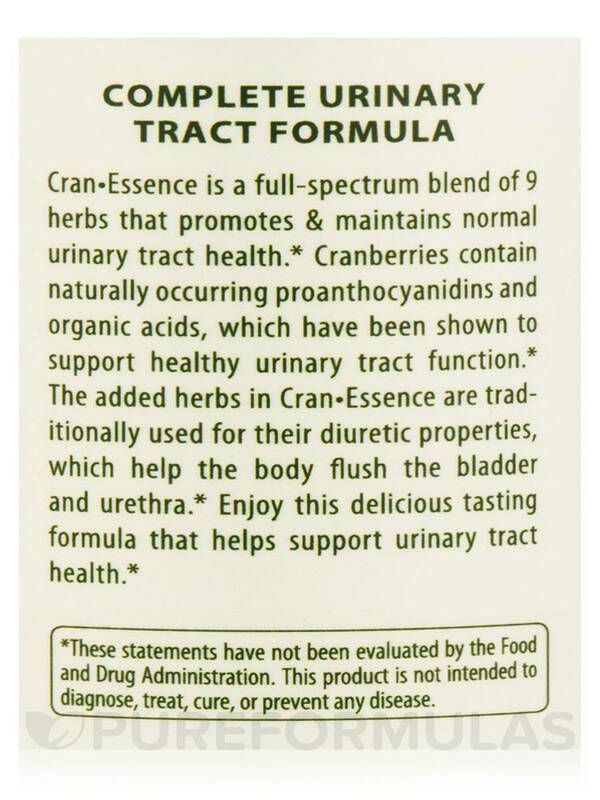 Cran Essence is a full spectrum-blend of 9 herbs that promotes & maintains normal urinary tract health. Cranberries contain naturally occurring proanthocyanidins and organic acids‚ which have been shown to support healthy urinary tract function by inhibiting the attachment of microbes to the linings of the urinary and intestinal tracts. 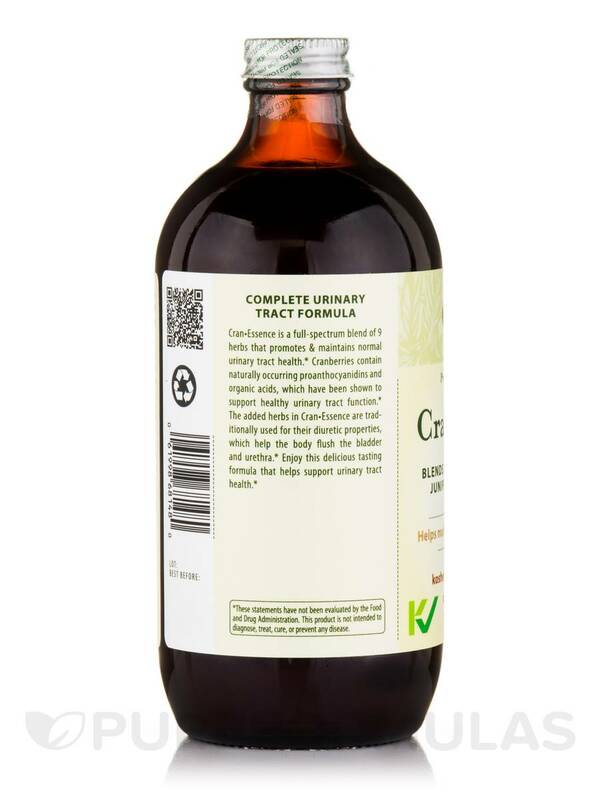 The added herbs in Cran Essence are traditionally used for their diuretic and antiseptic properties‚ which help the body flush the bladder and urethra. 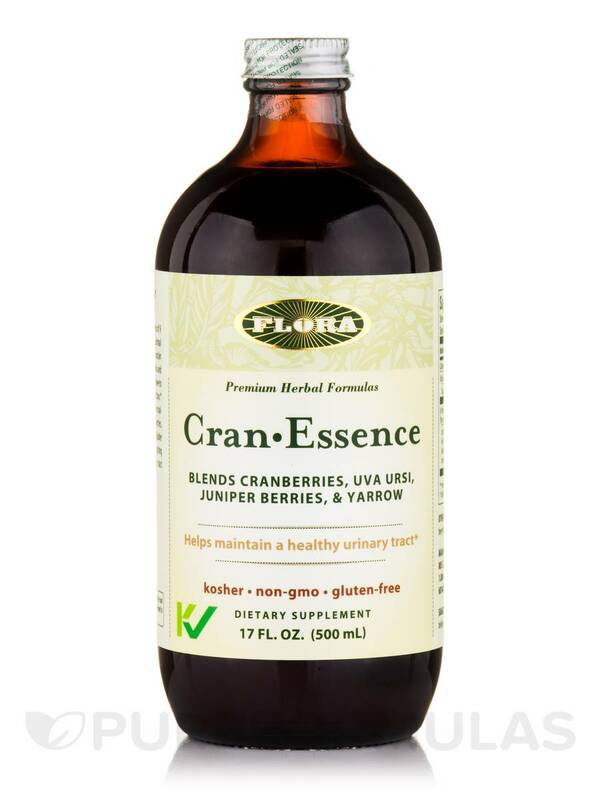 Enjoy the restoring properties of Cran Esssence…a delicious tasting liquid formula that helps support urinary tract health. Cranberry fruit‚ juniper berry‚ uva-ursi leaf‚ parsley seed‚ calendula flower‚ heather flower and leaf‚ knotgrass herb‚ rupturewort herb‚ yellow herb‚ stevia leaf. 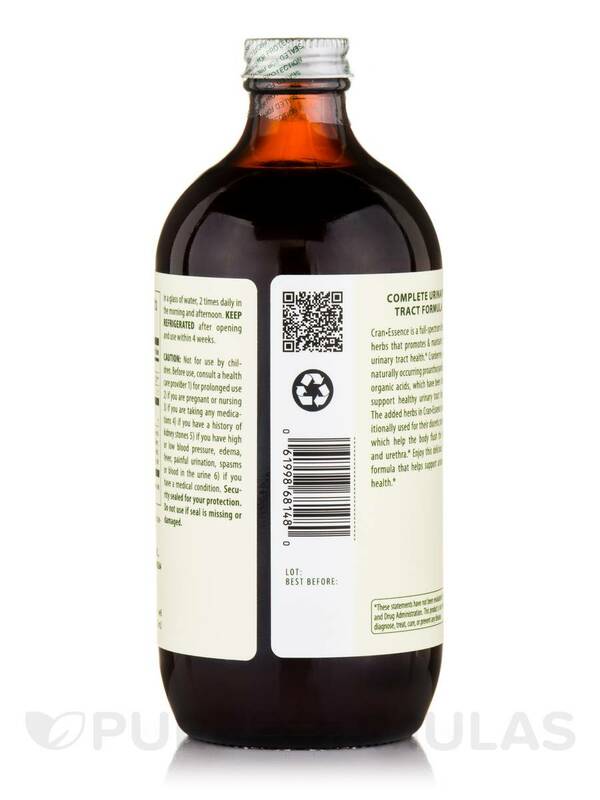 Other Ingredients: Water and cranberry fruit juice concentrate. Kosher / Non-GMO / Gluten-Free. Shake bottle well before use. 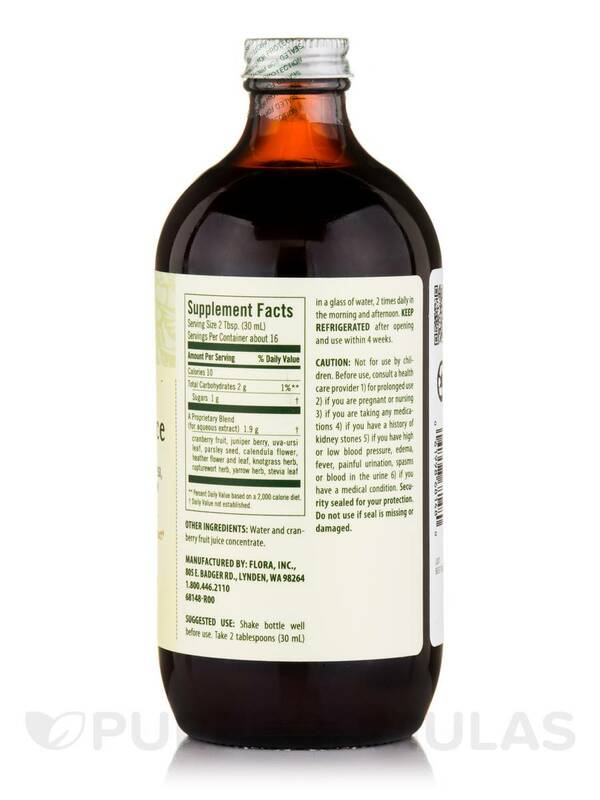 Take 2 tablespoons (30 ml) in a glass of water‚ 2 times daily in the morning and afternoon. Keep refrigerated after opening and use within 4 weeks. Before use‚ consult a healthcare provider 1) for prolonged use. 2) if you are pregnant or nursing. 3) if you are taking any medications. 4) if you have a history of kidney stones. 5) if you have high or low blood pressure‚ edema‚ fever‚ painful urination‚ spasms or blood in the urine. 6) if you have a medical condition.